We’re not going to set foot in Ridley Scott’s Alien universe, at least not cinematically speaking, until March of 2016, when the Prometheus sequel is tentatively scheduled to open. Given the public’s lukewarm reaction—that’s putting it mildly—to the last venture, maybe a wait will provide the necessary time to cleanse our palates. But don’t worry, we’ll get to fool around in that world in different ways until then, most notably with the upcoming video game Alien: Isolation, which seeks to capture the feel and atmosphere of the 1979 original, and put you smack in the middle of the action. This new feature provides some insight into the game, the origins, and the play itself. Isolation, which drops at some as yet unspecified date in late 2014, fits into the space between Scott’s 1979 classic and James Cameron’s 1986 follow-up, the also classic Aliens. Game play puts you in the point of view of Amanda Ripley, Ellen’s (Sigourney Weaver) daughter who is first mentioned in the director’s cut of Cameron’s film. It’s been 15 years since her mother disappeared, and now a Weyland-Yutani employee, Amanda has located the flight recorder from the Nostromo and is out to find some answers. I’m going to go out on a limb here and say that she’s not going to like what she finds. Creative lead Al Hope, and Clive Lindop, the game’s design lead, both chime in on the aspirations of Isolation, and what the game hopes to accomplish. Their main goal, both aesthetically and action wise, is to make you feel like you’re actually there, alone, going up against the most effective, efficient predator in the universe. That’s a pretty lofty goal, but from the in-game video, they’ve done a hell of a job recreating the tension and mood from the film, and you can imagine the creeping dread moving up your spine as you skulk through the ship, anticipating death at every turn. The designers wanted to create a risk/reward scenario based on the choices the players make during the course of the game. This isn’t Super Mario Bros. where you tangle with the xenomorph, die, start back at square one, and do things exactly the same. Games have evolved to a place that is really beyond scripts. You move, the alien hunts you, and things never play out the same way twice, which gives Isolation, among other things, replay potential out the wazoo. The goal is more about survival than your typical, let’s-lay-waste-to-everything-we-see style of game. 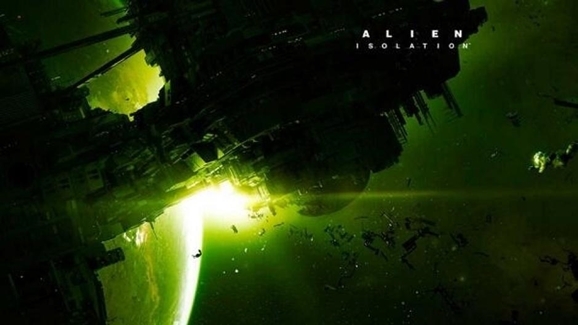 Alien: Isolation hits most of the major game consoles sometime later this year, though a precise release date is expected at EGX Rezzed, which takes place this weekend in Birmingham, England.